We offer a 250 m oval track compliant to FEIF rules and guidelines. 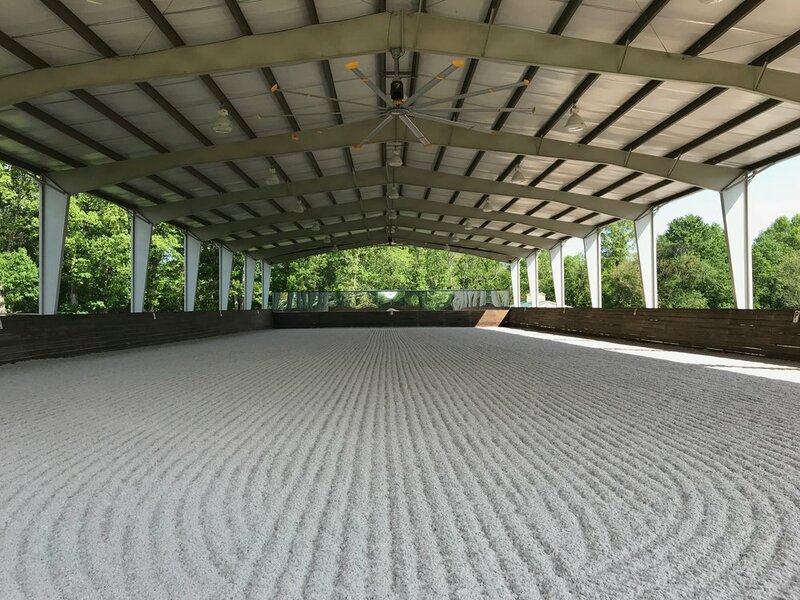 The 190x70 covered riding arena features excellent footing all year round, 2 ceiling fans, lights for night time riding, mirrors and a souround sound system. 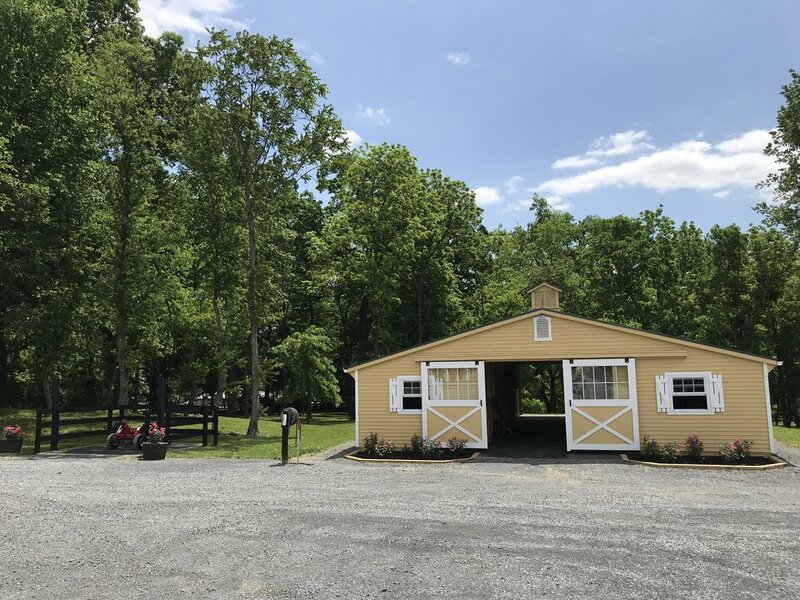 Our lower barn, also known as our guest barn, has 7 stalls and a tack room. Each rider has a saddle rack and bridal hooks. Every stall has a window and a fan. A generous breezeway keeps the air moving during hot summer months. Next to the barn is a wash stall where you can rinse your horse after your ride. Jumping course that wraps around the property.